“Every choice is a renunciation,” Saint Thomas Aquinas asserted. In other words, when we choose one way of life, we also reject another. When we say “yes” to one path, we also say “no” to an alternate path. My favorite moments are those in which I witness our campers or StreetLeaders choosing to reject old, toxic patterns in their lives in favor of embracing new habits or dreams. Julio, one of our high school StreetLeaders, recently had one of these pivotal, trajectory-changing moments. 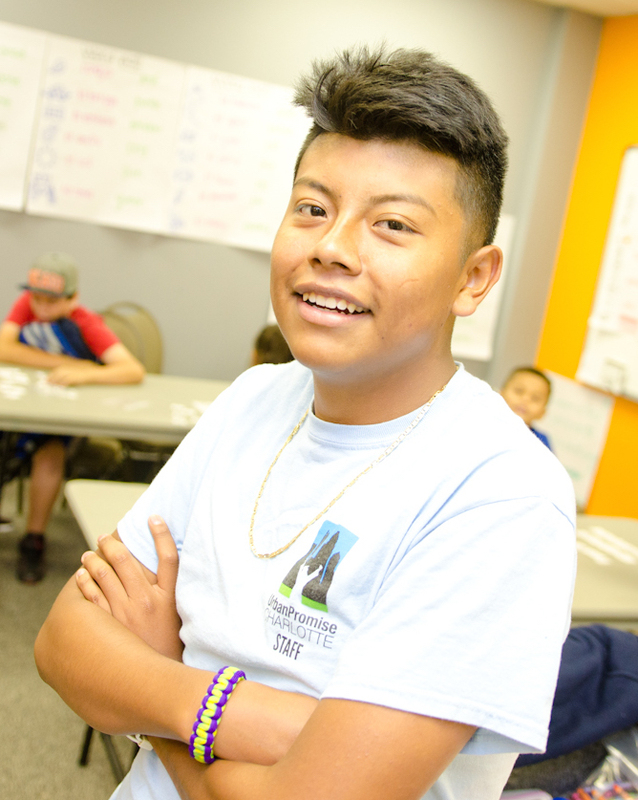 During his first few weeks as a StreetLeader this past summer, Julio had a choppy start. On several occasions, he arrived late, left early, or didn’t wear his uniform. While it was left unspoken, he seemed to carry the weight of past decisions on his shoulders. Gradually, however, Julio began to change. This fall, he led our boys’ hip-hop “options” class. For an hour every Tuesday night, Julio was on-fire with enthusiasm as he taught, encouraged, and directed fourteen elementary school boys. The boys became the center of Julio’s world, and he became the center of theirs. The class culminated during our Christmas Parent Celebration in late-December. In front of more than 100 parents and guests, Julio watched as his dancers confidently performed a 12-minute routine. As parents applauded at the dance’s conclusion, the boys rushed over to Julio to give him a hug or a high-five. The brightness of Julio’s proud smile could have powered Charlotte for three months. During one of our recent training sessions, we asked our StreetLeaders to share about a turning point in their lives that had shaped who they are today and the dreams they want to pursue. Julio paused suddenly. His eyes welled up, and, for just a moment, his head lowered. I sensed the regret and the shame rearing their ugly heads again. But just as suddenly, his head rose, and his eyes brightened. I could almost see him picturing his team of boys from dance class as he finished his story. With a strong voice, Julio declared his new identity. I am proud of Julio, too, as are his younger sister and cousins, who all attend our afterschool and summer programs. As he takes hold of his identity as a leader, Julio is also serving as a powerful example for his sister and cousins (and all of our campers). Thank you for generously giving of your time, encouragement, and resources to UrbanPromise Charlotte. Because of your generosity, our campers and StreetLeaders are renouncing old ways of life and embracing God’s vision for their lives. May your hearts be filled with the understanding that you are expanding God’s kingdom here in Charlotte. No Comments to "February 2015 Newsletter: Julio’s Story"